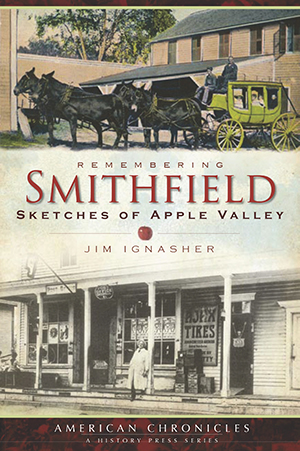 Jim Ignasher has been interested in history since his youth, but it is only in recent years that he has begun to write about it. He enjoys searching for long-forgotten stories that other authors may have overlooked, thus hoping to give his readers a new perspective on local history. He is active with the Historical Society of Smithfield, which operates and maintains the historic Smith-Appleby House Museum, and he occasionally gives talks on Smithfield's history. He is also a member of the New England Antiquities Research Association and Historic New England. Jim also writes a monthly local history column for Your Smithfield Magazine, and in May 2010, he received an award from the Rhode Island Press Association for an article he wrote titled "Rescued from the Attic of Our Lives, " which appeared in the magazine's November 2009 edition. This is his fourth book and his third with The History Press.